12th Avenue South—Hamilton Hall. 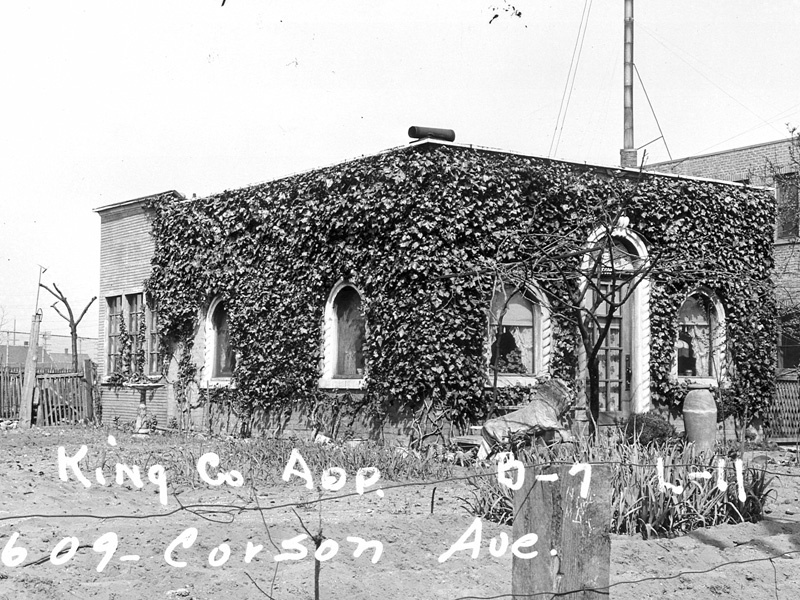 Imagery from the early days of Georgetown show the lasting architecture in the area. Dora Horton and her husband Senator Will Carle's residence. Corson Building is great example of the diversity of architectural styles within Georgetown proper. 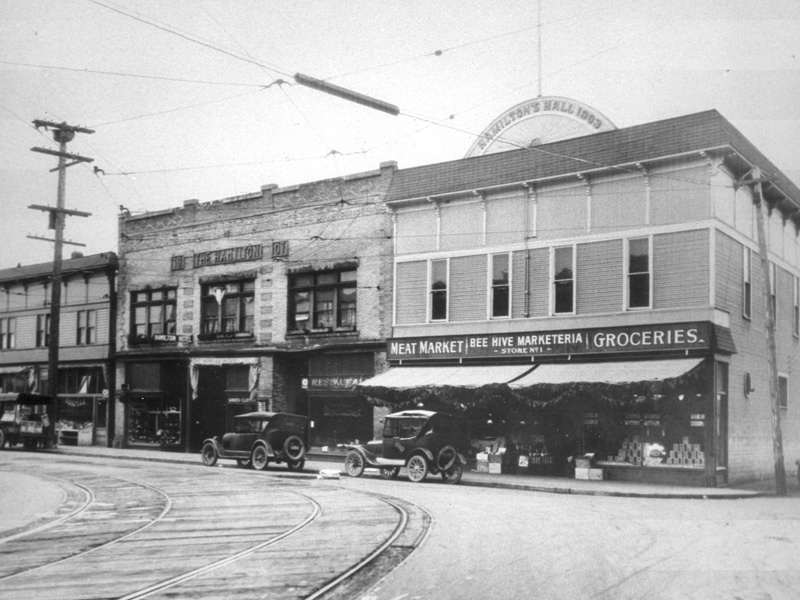 Lucille Street in the early days. 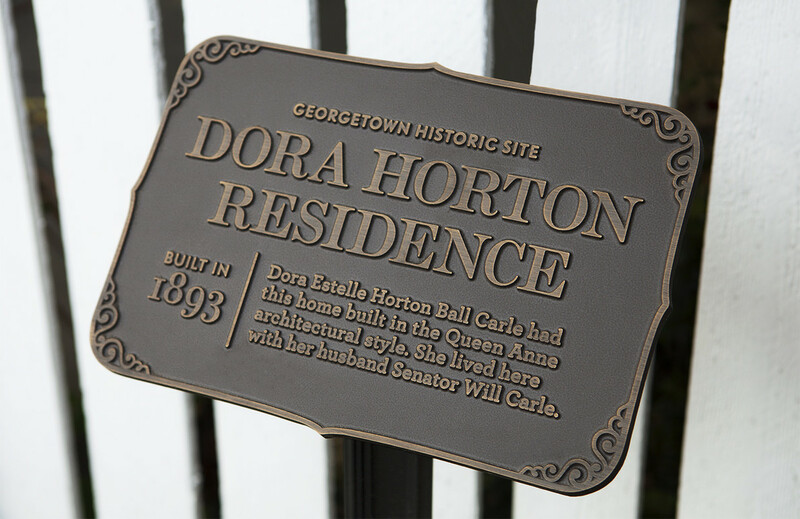 In an effort to bring greater recognition to the history of Georgetown, Belle & Wissell collaborated with the Friends of Georgetown History to establish a storytelling approach to neighborhood signage. 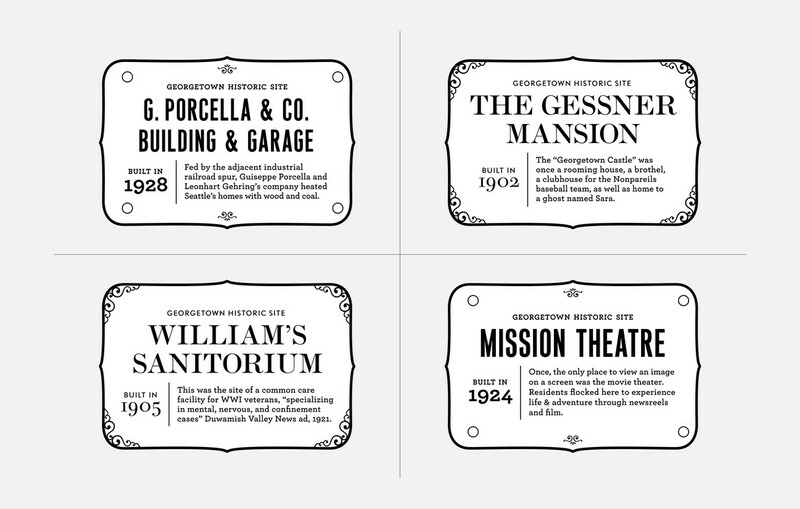 The placards—which were designed using period-appropriate forms and materials—supply a narrative around significant architecture in the area, outlining the community and industrial development of Georgetown. 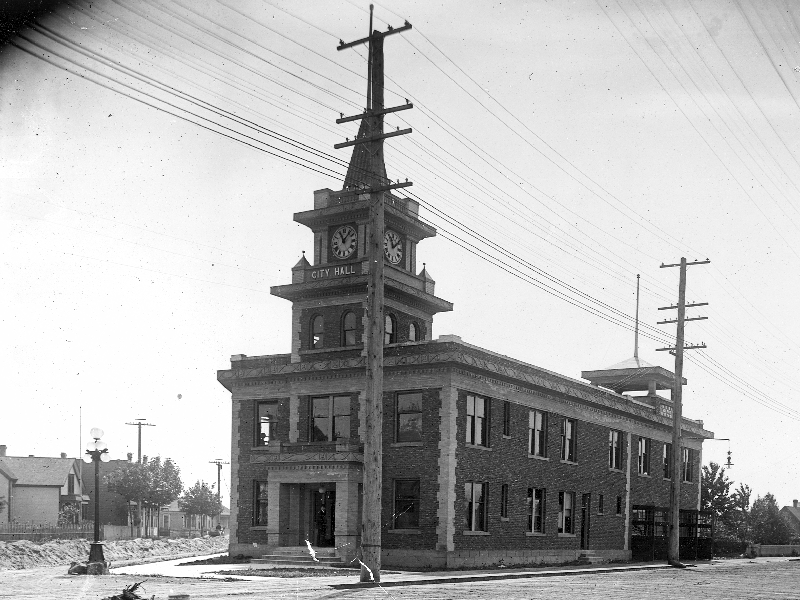 From its foundation to the present, Georgetown has been a source of both industrial development and creativity. 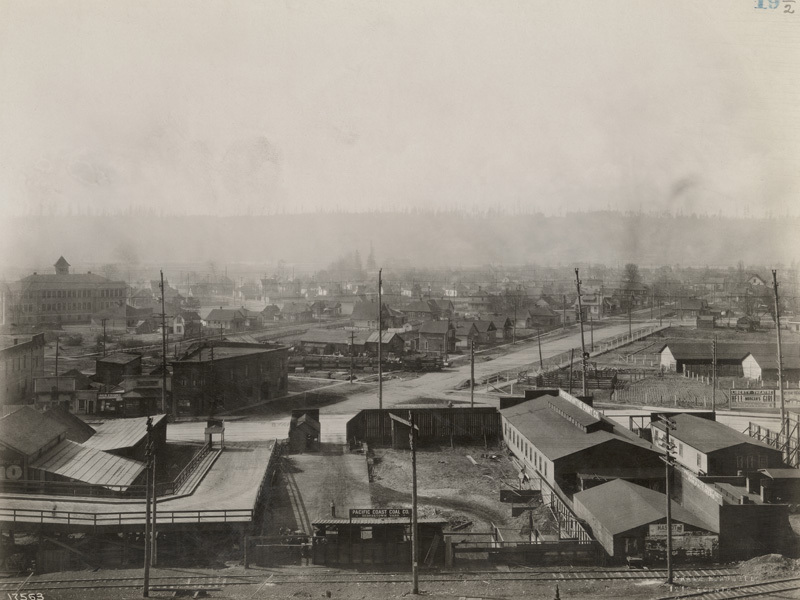 Its initial development had a great impact on Seattle’s present economy, and many of its buildings still in use today were constructed during the late 19th century. 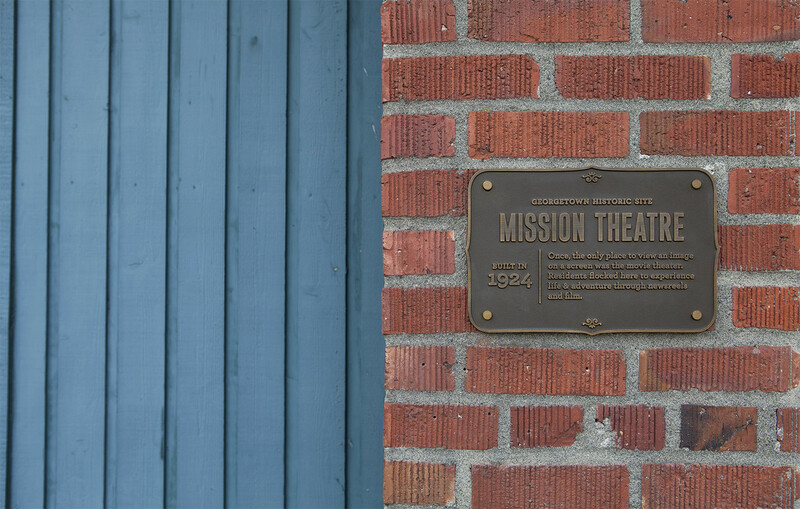 These placards aim to increase awareness of the neighborhood’s rich history as Seattle’s oldest neighborhood. 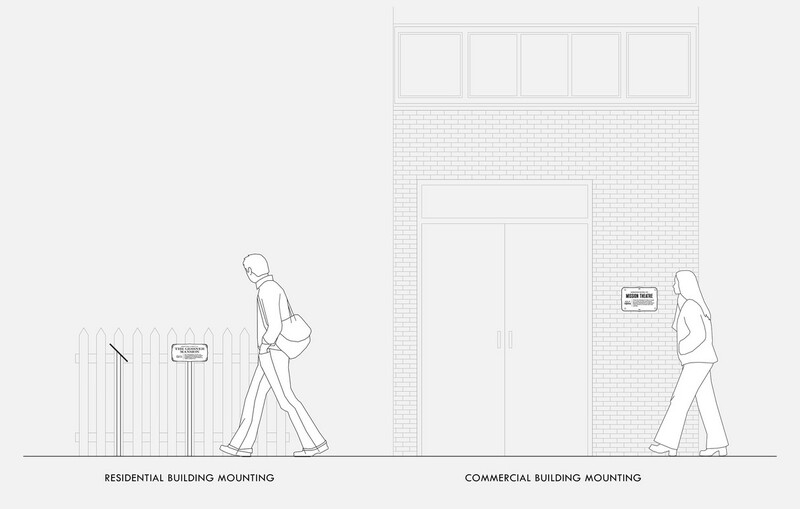 The Georgetown history placards are carefully and respectfully integrated with retail corridor buildings and displayed on stanchions before residences. Belle & Wissell employed two distinct motifs for commercial and private spaces—signs on industrial buildings convey a more masculine, bold approach; residential placards are more elaborate and delicate. 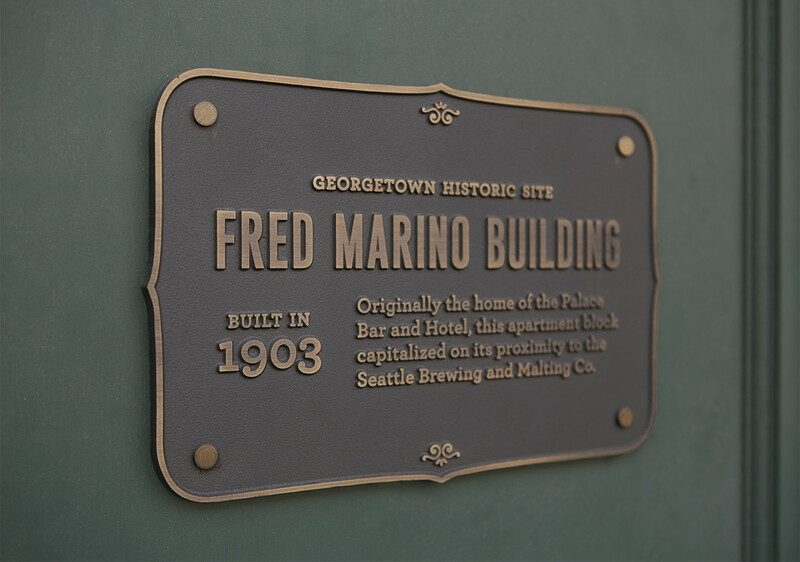 Both were specifically crafted to evoke the typography and materials vocabulary that existed during Georgetown’s early development. Funded by a grant from 4Culture, Belle & Wissell worked closely with the Friends of Georgetown History, who contributed historical research and final copywriting. Local families and businesses in the Georgetown community lent their personal accounts to the narratives and assisted with placard installation. Learn more about Georgetown with “Georgetown 101” by the Friends of Georgetown History.